Gentlemen, meet the Suzuki Thunder 125. It’s the first two-wheel wonder that combines all the good things of a high-end backbone bike and the ever-dependable street variety. 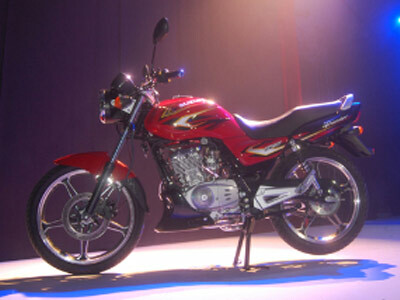 Equipped with a 125cc engine, the 125 boasts of torque and power expected of all backbone beauties. As though that’s not enough, Suzuki puts a cherry on top, calibrating the Thunder 125 engine with the PAIR (Pulsed Secondary Air Injection) System. The result? It becomes quite fuel-efficient and environment-friendly at 1.25–2.5 litres/100 km. It promises an ultra tough backbone frame, making it more durable and hiney-friendly the other street bikes. While it costs a tad more than the regular street bikes, at less than P67 grand, you already get a nice-looking, swoon-inducing backbone bike. It's truly the best of both worlds.